Augmented reality, where digital data is overlaid on the real world, is fast-becoming an inevitable part of our future. From Hololens to Google Glass, major tech firms are betting big on its potential. 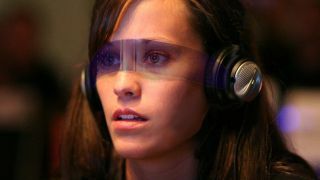 But a world with widespread use of augmented reality headsets would be very different to today, and technology policy researchers at the University of Washington are studying exactly what that world might look like. They've published a white paper summarising their findings. The paper identifies several legal and political challenges that are going to quickly become a problem. Issues around surveillance, privacy, safety, intellectual property, distraction and discrimination will slow progress as we try and work through them as an increasingly-global society. But as well as challenges, the team also created a list of recommendations that "do not purport to advance any particular vision, but rather provide guidance that can be used to inform the policymaking process". Briefly summarised, they say that augmented systems must be flexible and capable of being updated to reflect technology and cultural changes, that creators should conduct 'threat modeling' exercises to prevent security breaches that could lead to physical harm, that designers should work with policymakers to make wise decisions with a diverse group of users in mind, and that trade-offs between hackability and security should be acknowledged from the start. Ryan Calo, who led the team, called the work difficult but crucial. "We had to come up with a process to blend the technical, legal, design and other elements into a single policy document," he said. "I hope the finished document proves useful to policymakers of all kinds."